Every project starts with an idea. In our office, we developed the most efficient method of sharing ideas by building them directly into a three-dimensional, life-size digital space. Our approach does not limit our imagination, it saves you time and gives you – the client – more control over the final result. 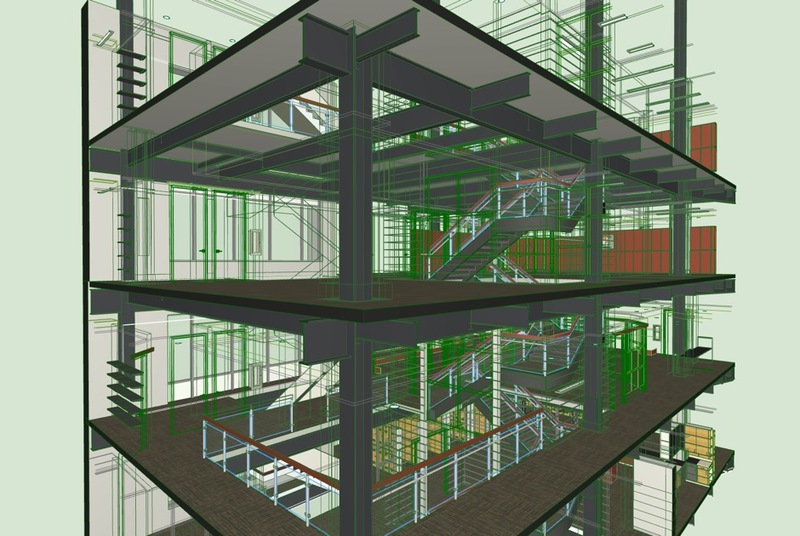 Efficient building of digital 3D models requires advanced skills and specialized tools. 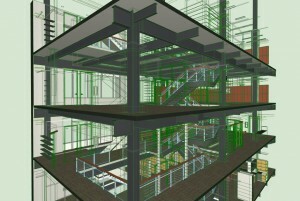 We use a state-of-the-art program called ArchiCAD, crafted especially for architectural type of work. It allows us to seamlessly visualize our ideas. We can immediately evaluate, revise, then present them to you in a rich, photorealistic way. 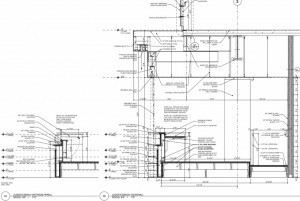 As we do that, we start working on technical drawings that are progressively developed for permitting, bidding and construction. 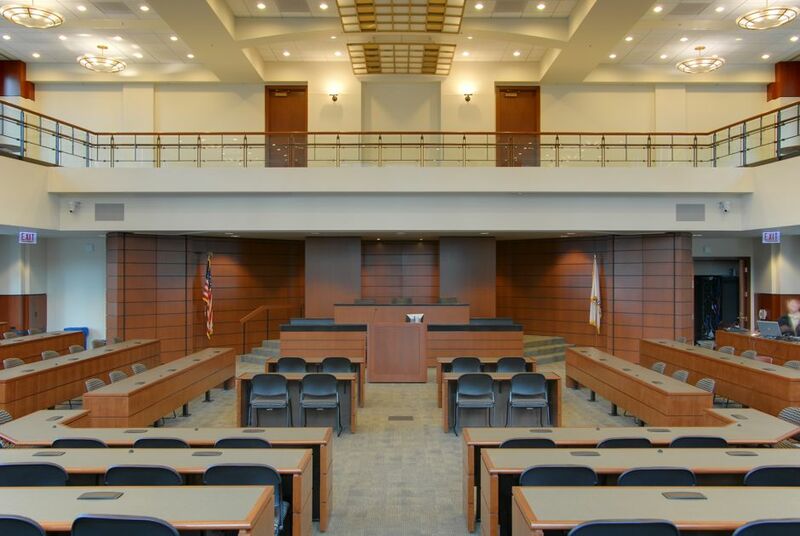 In the multi-phase project for the School of Law for the Loyola University in Chicago, the relevant elements of the existing high-rise building were first modeled: walls, windows, slabs and steel beams. 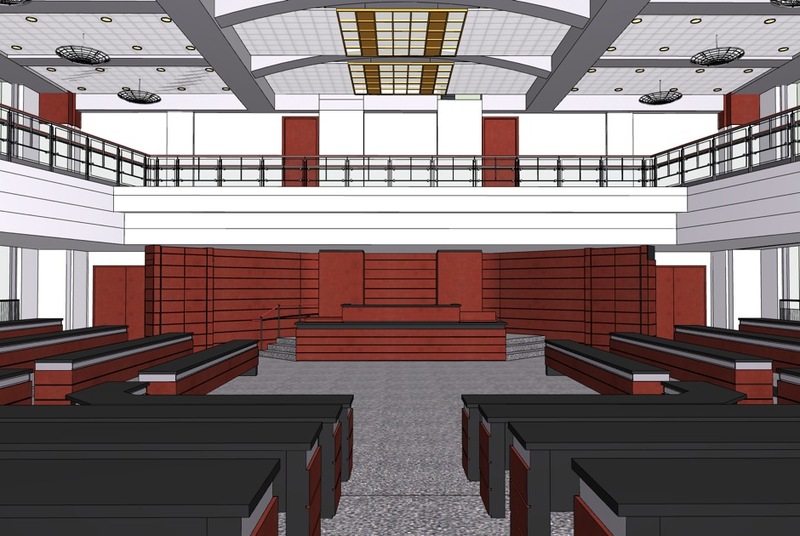 Then, based on a space plan, the architect inserted new walls with all of the details that would be a part of the final design of the courtroom. The design was re-evaluated and adjusted multiple times throughout the process. 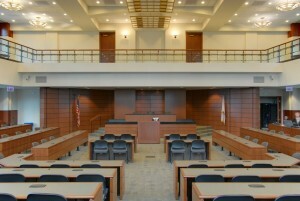 BHMS modeled all the crucial millwork details to fully realize and control their visual impact in real, life-size space. Using this very model, we developed detailed sections to make sure that the complex design would work in reality. 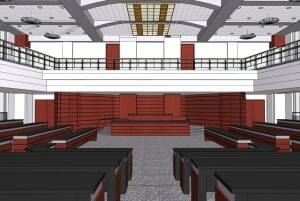 The moving parts in the main judge’s bench, the movable whiteboard/wall for regular lectures, and the power screens for large projectors — all had to function in a seamless manner. 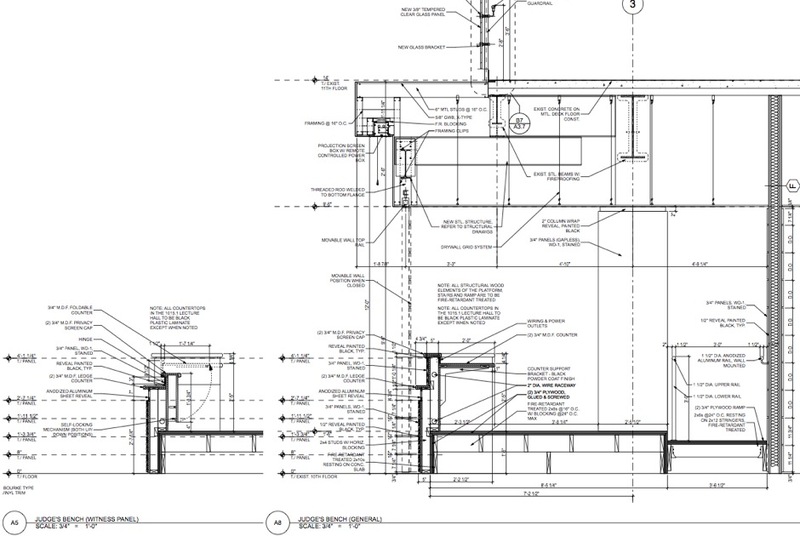 Revisions during the process of construction documentation always stay in the context of the whole spatial model — because the model remains an integral part of our “flat” drawings. When the project is complete, we can come back compare our design to what has actually been built.